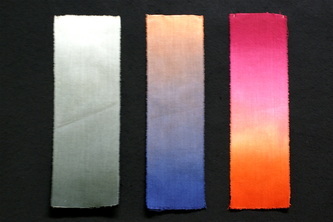 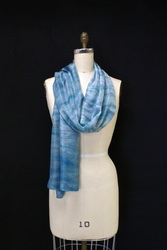 China silk scarf poll wrapped and dyed in medium solution green and blue acid dye. 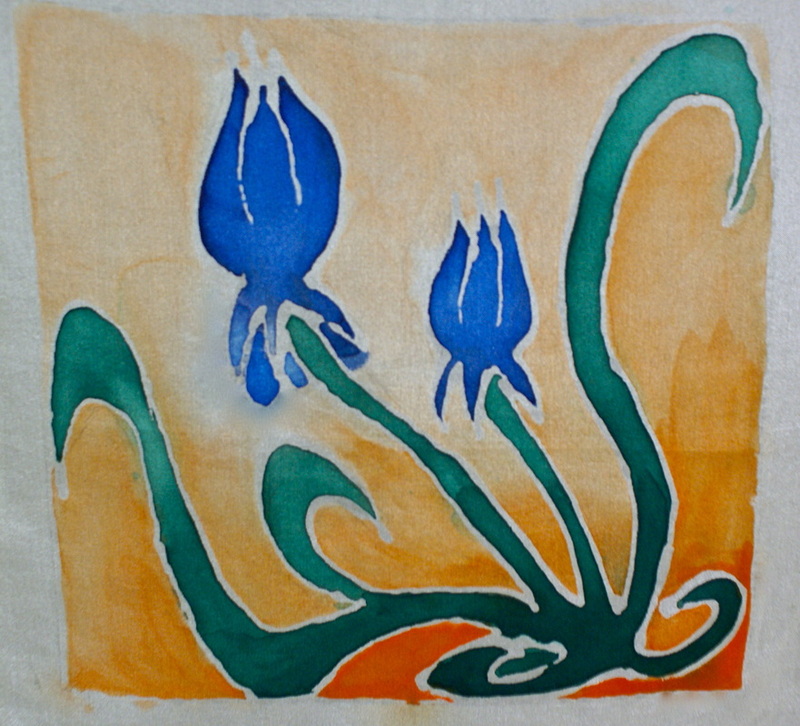 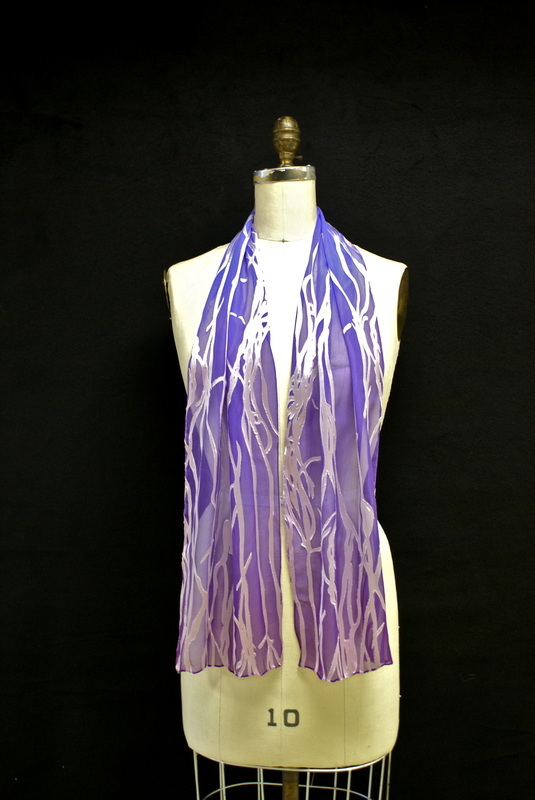 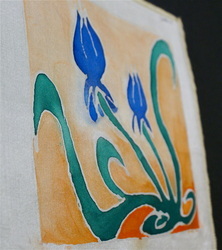 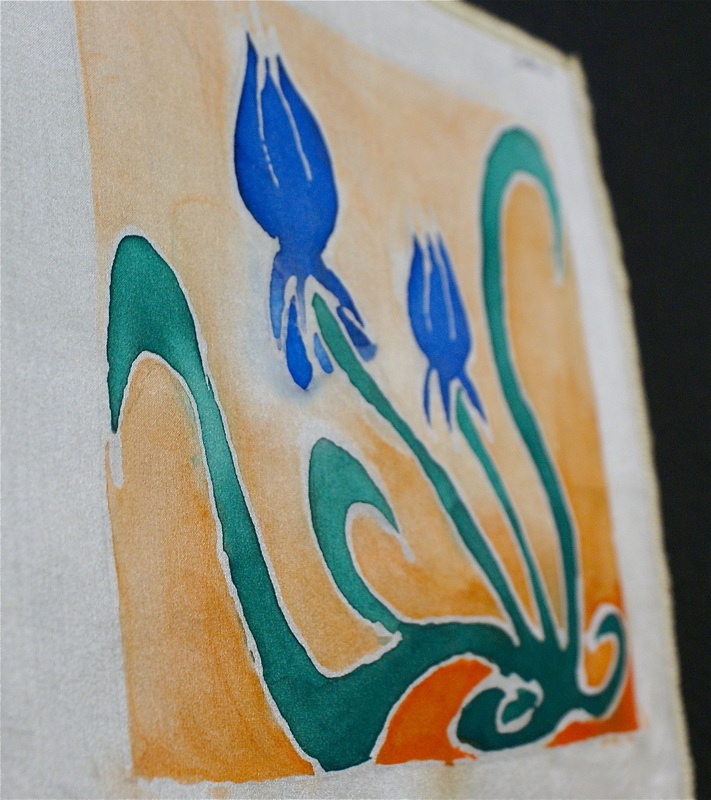 Painting was created using silk fabric paint and resist. 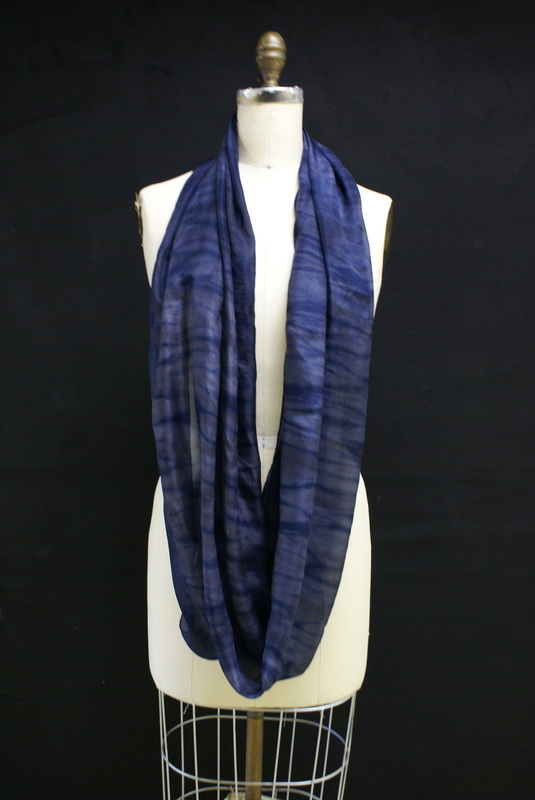 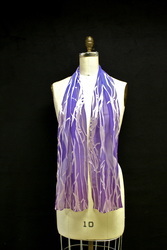 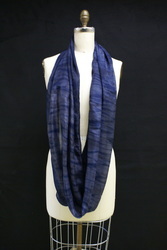 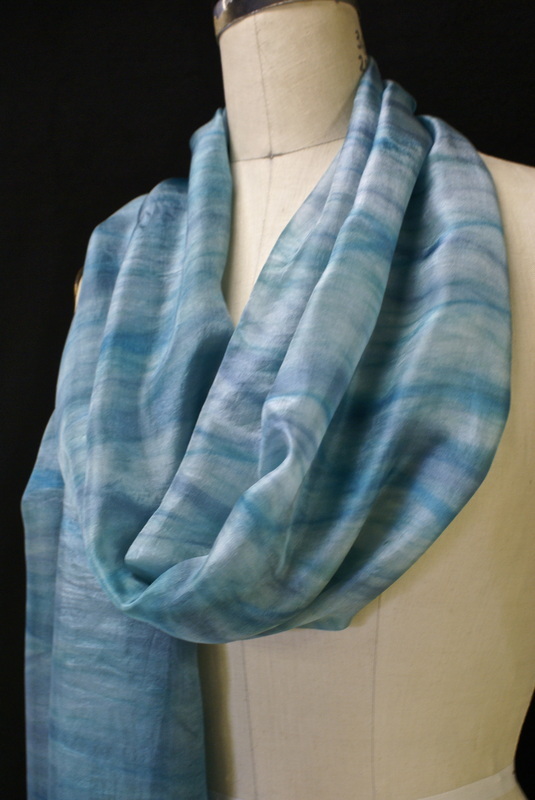 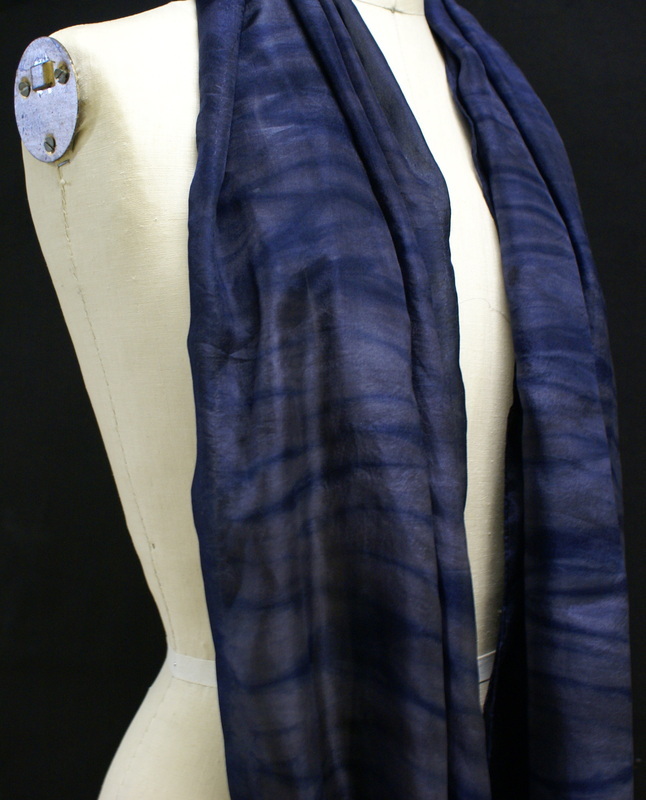 China silk infinity scarf dyed in a deep solution pearl grey then poll wrapped in navy acid dye.